May 18th will be the studio picture day with Michael’s Photography. All dance classes will be photographed as a group and individually. Welcome to Kristina's Studio of Dance. Kristina's was founded in 1976 with the goal of creating a positive, nurturing environment for students to learn to love the art of dance. We are confident that your interest in dancing and the performing arts will be challenged and developed by taking part in one or more of our dance disciplines. Our staff and students dedication and commitment have enabled us to receive the Best of Texoma Award for 11 years in a row. Find out about our classes, our staff, our policies, and other information here on our website. For questions not answered here, please contact us, we'd love to hear from you! 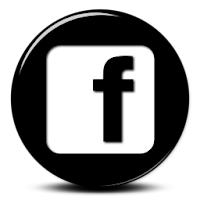 You can also contact us or follow us on Facebook! Kristina's Studio of Dance. Simple theme. Powered by Blogger.